If you’re after a quick an easy way of getting more retweets and exposure on Twitter, Tweetforatrack could be just what you’re looking for. Here’s how it works. 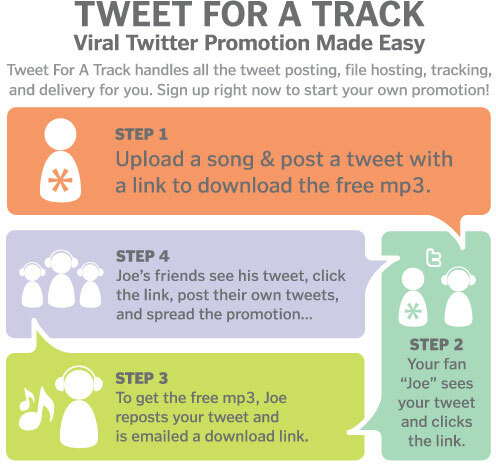 You upload a track to their site, tweet about it. One of your followers on Twitter sees it, RTs and is emailed the MP3. You get exposure, they get some music.